Where are the wild things? Not always on your website – which is why it’s important to release your online content into the wilds of the “real world” with mobile tagging. What’s your tagging vehicle? QR codes! QR, shorthand for “quick response,” are bar codes applied to physical objects in the world and decoded quickly using a smart phone. QR code use is approaching a popular tipping point as more people adopt smart phones and discover the “hidden” rich media (website content, video, rss, etc.) embedded. Bonus feature: response to your QR codes can be measured, too. George Bowers Grocery is a specialty food shop located outside downtown Staunton, VA (disclosure: I am part owner). The shop’s primary marketing and promotion relies heavily on social-media content and interaction. Customers are generally residential and live within walking distance. However, there were two untapped customer segments: tourists and students at local Mary Baldwin College. We created a QR code that redirected to our website and another that allowed users to check in at FourSquare. The codes were distributed downtown, at the shop and via Facebook. We added the words, “welcome to the future!” on a QR code poster in the shop. This prompted conversation and face-to-face customer engagement as we demonstrated downloading the relevant app and discovering the “hidden message” (an unexpected experience: having a “tech talk” with your grocery bagger!). We achieved a 302% increase in mobile phone traffic to our website and a 25% increase in monthly check-ins using FourSquare. The latter was a smaller jump, which we feel is probably due to the reduced penetration of FourSquare users in a town of 25,000 compared to metro areas. We feel this effort resulted in greater overall awareness of the business from both target audiences…certainly worth the few minutes and virtually no-cost approach. QR codes are ridiculously easy to make. QR Code Generator and Stickybits are two of several sites which allow you to create the codes for free. They also provide the free phone apps to read them. Other free apps that read QR codes include NeoReader, OptiScan and QR App. For just 99 cents, you can get QuickMark and scan virtually any bar code. Incorporate your QR codes into all kinds of print marketing materials and collateral. Depending on volume, you can print QR codes from your printer. No special printing inks or materials are necessary for a larger print run, either. If you’d like stickers with your QR code, just order them from Stickybits. Your code can live wherever you can stick it! 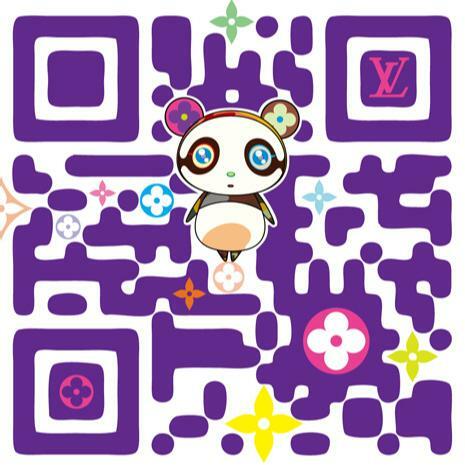 Some visual customization to the QR Code is possible, too. Manipulate the QR code using common photo editing software such as Photoshop or Gimp. Add a new layer with your design elements – you have roughly a 30% “fudge factor” to distort the code and retain its readability. This is a great way to tie your code to the look and feel of your marketing materials. 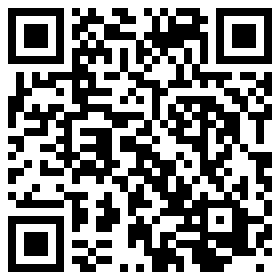 Here’s more detailed info on customizing a QR code. Since production is so easy the real question is: what kind of content will you produce and send out into the world with your QR code? Embedding a QR code to link to a website is great because you can track mobile visits to the site and compare visits to overall mobile device usage. However, linking to a site isn’t the only thing you can do with a QR code. How about video? Animation? An RSS-driven treasure hunt? Wearable art? Secret messages to your lover? Creating content specifically for QR code use works best if the content is optimized for mobile viewing — i.e., few page downloads, plug-ins or other clutter. Your QR code content can be as simple as a web page or as involved as a video animation. Using a QR code demonstrates an awareness of “cutting edge” mobile tagging technology (technically, QR codes have been around for awhile; what’s cutting edge is the sudden increase in people who can read them). The important thing is to reward users who go to the trouble of downloading the app with great content. This is particularly important if your market is unfamiliar with QR code use. You can tweak the appearance of your QR code to reference existing marketing material design. This adds credibility among customers already familiar with QR codes and wows those just learning about them. Test the code to ensure it retains its effectiveness. A simple way to track your QR code is to embed it with an otherwise hidden web page. Track traffic to this page using common analysis tools such as Google analytics. While QR codes are showing up everywhere (I’ve recently seen them on such diverse products as deodorant and imported cheese! ), the common assumption is that they are just “boring bar codes.” If possible, add copy or design that explains the “bonus” material hidden in them for greatest engagement. In short, QR codes are a fun way to get your content into the brick-and-mortar world. Start scanning! Let me know questions or experiences you have had with QR codes in the comments below. ** QR Code created by Takashi Murakami for SET. Via Engadget.